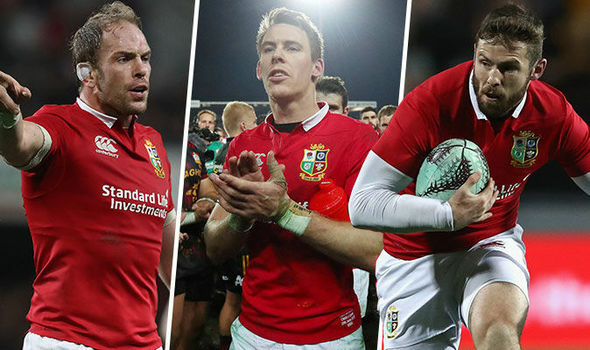 The first of the three Tests the British & Irish Lions will play against New Zealand takes place on June 24 at Eden Park, the All Blacks’ home ground. The last time the All Blacks lost a Test at their home ground was 23 years ago, in 1994. Should the Lions break this formidable winning streak in Auckland on Saturday it really will be a historical achievement? The Lions have played at iconic New Zealand stadium just once before, suffering a crushing 48-18 defeat in 2015. The Kiwis won 74 percent of games at the Auckland venue and they have a 77% winning record in test match rugby. New Zealand won the last two Rugby World Cups, in 2011 and 2015, as well as the inaugural tournament in 1987. Since the introduction of the World Rugby Rankings in 2003, New Zealand has held the number one ranking longer than all other teams combined. All this makes them the all-time best rugby union team in the world. As the excitement grows, the question imposes itself: do the Lions have what it takes to defeat the champs? The Lions have won four and lost two of their warm-up matches on the tour of New Zealand. They are confident after full impressive wins over the Crusaders, Maori All Blacks and then Tuesday’s victory in Hamilton under their belts. Lions boss Warren Gatland named his starting XV on Wednesday. Surprisingly, Gatland decided to keep Maro Itoje on the bench and name Peter O’Mahony captain. And although Jamie George, Ben Te’o and Elliot Daly are also unlikely picks, they could still turn out to have a major impact in the game. “The message to the players before we came out to New Zealand was that to play the All Blacks you have to be bold and take risks,” Gatland said. The great news for the All Blacks, on the other hand, is that number eight Kieran Read (31) will return from injury to captain New Zealand on Saturday. However, Hansen’s decision to leave out Savea, one of the best wingers in the world, raised many eyebrows and lead Gatland to question All Blacks team selection. “I’m not sure looking at their bench that it is as strong as it has been in the past,” he said. Be that as it may, we are surely in for an exciting match! L Williams (Wales); A Watson (England), J Davies (Wales), B Te’o (England), E Daly (England); O Farrell (England), C Murray (Ireland); M Vunipola (England), J George (England), T Furlong (Ireland); AW Jones (Wales), G Kruis (England); P O’Mahony (capt, Ireland), S O’Brien (Ireland), T Faletau (Wales). B Smith; I Dagg, R Crotty, SB Williams, R Ioane; B Barrett, A Smith; J Moody, C Taylor, O Franks, B Retallick, S Whitelock, J Kaino, S Cane, K Read (capt).